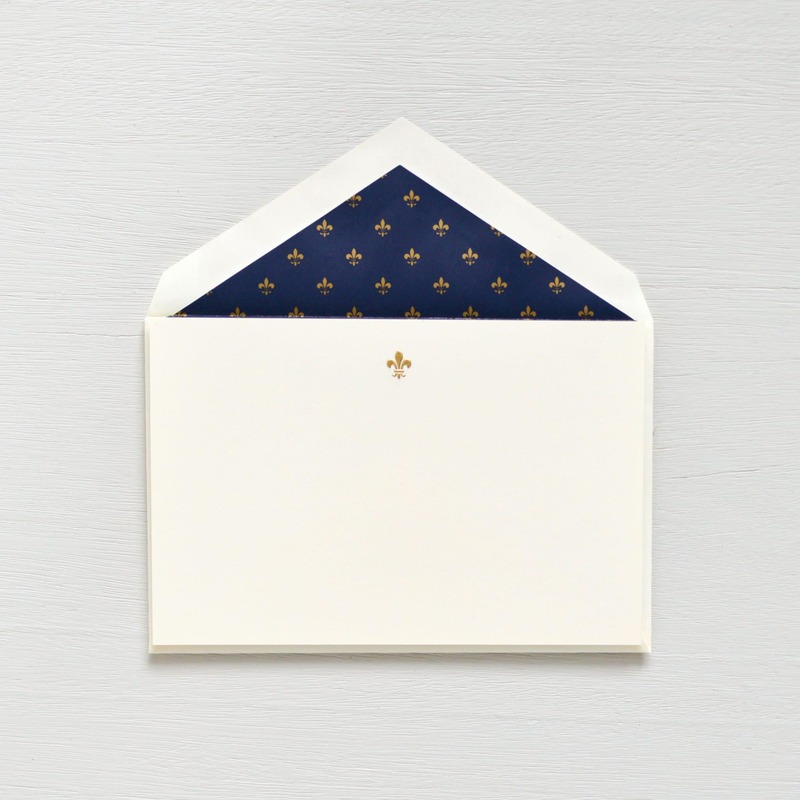 A stately fleur de lis, engraved in gold, is paired with navy fleur de lis pattterned envelope liners for an elegant set of stationery with local accents. Ten cards and matching lined envelopes. Custom created by Crane & Co. for Scriptura.